Now that British Prime Minister Theresa May is working on a revised deal while attempting to make last-minute changes, Brexit has faded slightly from the spotlight in current world news. A new deal on various Brexit options needs to be finished by the end of the month as the fateful day of 29 March approaches. May, who is currently facing the dilemma on the Northern Irish backstop (an alternative for a hard border, which many oppose), will be guiding her deal through a series of upcoming parliamentary votes. More theatrical debates on the BBC are sure to come- but what does all this mean for English students in the Netherlands? Charlotte Daemen, who has a Dutch father and an English mother, tells me about her situation. ‘’My parents have been living in the Netherlands for so long that my mom can’t vote in the UK anymore, although she has an English passport- as do my older siblings’’. The tone in the latest news surrounding Brexit is marked by fatigue- regardless of their positions, many British citizens are simply tired of the 24/7 coverage of the topic and the unrelenting attention that is devoted to the speculations about possible outcomes. ‘’Right now, Brexit isn’t really a topic we discuss anymore, just because everyone is so done with it. I think there are more important things going on in the world right now, and it’s tiring to constantly see only Brexit when you open the news today’’, Charlotte recalls. ‘’I remember we were very surprised at the results; many people didn’t really think the Brexiteers would actually win and didn’t consider the consequences properly’’. When asked about the decisions made by her English relatives who voted during the referendum, she describes it as about half-half: ‘’My aunt and uncle both voted Leave, as did one of my cousins, although her siblings voted Remain. My English grandmother also voted Remain’’. As for their motivations behind those decisions, she names a variety of reasons: ‘’My uncle imports from the EU with his company, but I think he voted Leave because of nationalistic pride, like many others. My aunt was fed up with the ‘’red tape’’ EU regulations, although she couldn’t describe the exact rules that were supposedly restricting her… and I think my grandma simply voted Remain because a celebrity she likes did so too’’. With many Brits referring to the numerous EU rules that ‘’tied them down’’, it’s dubious whether those rules are really so black and white. ‘’It’s not that simple; a lot of it comes from traditionalism and wanting to preserve certain cultural aspects as well. Very simple, non-invasive changes like a different color passport can be enough to convince people’’. Whatever voters’ positions on EU regulations may have been, the referendum itself already was a topic of controversy. Charlotte explains: ‘’At the time, many people thought it was stupid and didn’t vote; there’s even been referenda on whether or not we should have referenda… It’s a shame, and the English students in the Netherlands I know are all strongly opposed to Brexit’’. She expresses her doubts about the usefulness of referenda: ‘’If a new referendum were to happen, people’s opinions might have changed, but it would probably still leave many unsatisfied. Unfortunately, a lot of voters pretend to be really educated about Brexit, while they simply repeat what they have heard others say, particularly on social media. The discussion becomes very one-sided if everyone thinks they know enough without considering the other side of the story’’. Brexit could be highly problematic for students looking to go abroad, be it from the UK to Europe or vice versa. Charlotte, whose older brother and sister completed their Masters’ degrees in England, was considering doing the same; having an English passport would bring down costs substantially. ‘’Now, I’m thinking about getting an English passport before I do my Master’s. My English cousins can’t come study in the Netherlands in the future, and the other way around might be more difficult too’’. Charlotte’s mother, who works for NATO and is accustomed to a highly international environment, adds that the family will have to use 2 separate queues when visiting relatives, depending on which passports they own. Customs might become more complicated as regulations shift, and EU citizens in the UK could lose their jobs depending on the ‘’hardness’’ of Brexit. It remains to be seen whether May’s deal will survive until February 27th, when the revisions will be decided on. 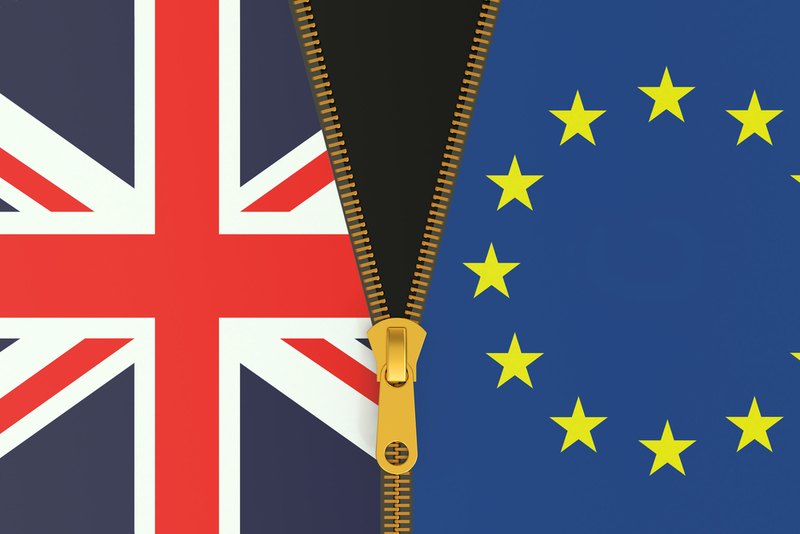 In the meantime, the prolonged uncertainty regarding Brexit- referred to as the Brexit-fog- leaves us with many questions about its consequences. As we await the arrival of March 29th, it’s important to remain critical of the information you see about Brexit- don’t let Facebook vote for you. Charlotte Daemen, Class of 2020, is a Cognitive Science, Computer Science, and Life Science major from Beekdalen, the Netherlands.